Elegant colours printed in a unique stripe. A beautiful way to add subtle colour to any room. 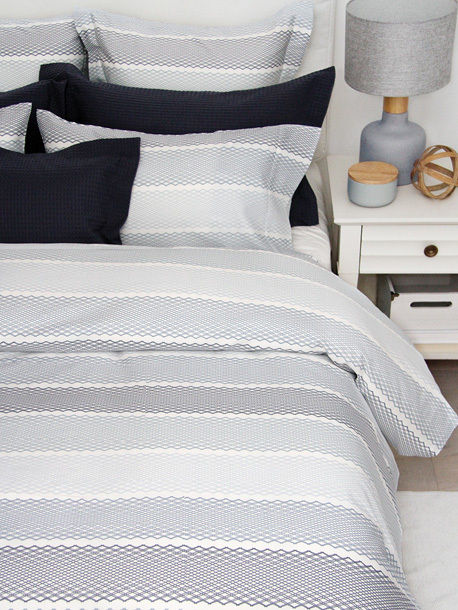 100% egyptian cotton sateen, 220 Thread Count woven in Israel.